Small tasks build into big rewards over time. A successful person is a patient person! Jessica Pantermuehl is a Nutrition Therapy Practitioner and Certified Holistic Health Coach. She is the founder of both Beautifully Balanced, and the Holistic Entrepreneur Association. 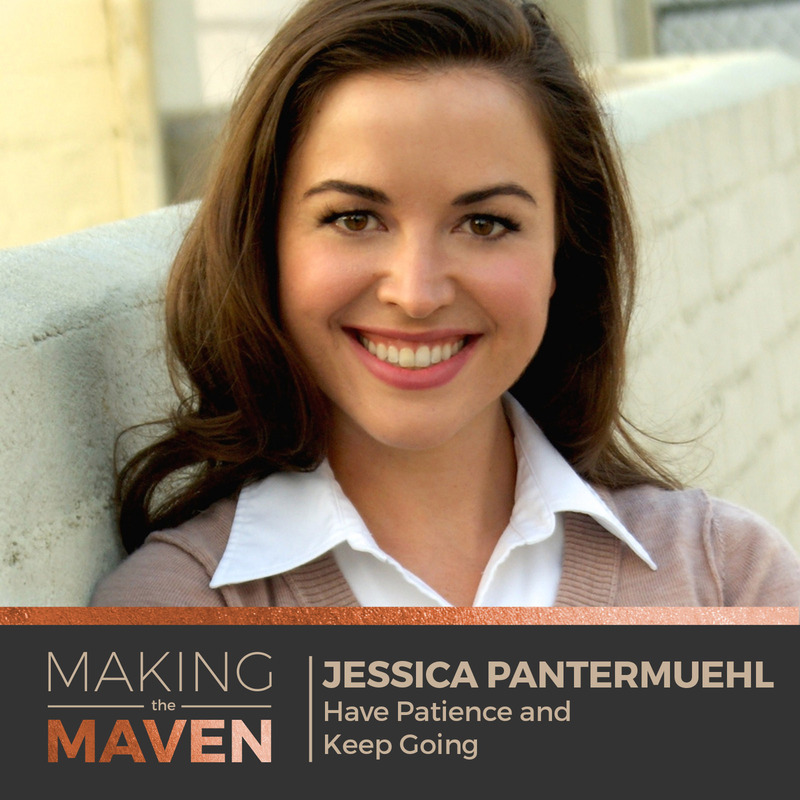 Jessica has been in the business for five years and is certainly very wise to some of the mistakes she made early in her entrepreneurial career. On the show, Jessica admits that she really struggled with the business side of things when she opened her business. She used that as fuel, though, and took years and years of business courses until she got better! *Please do take the time to leave a review! They do matter! *Who is Jessica? She’s a Nutrition Therapy Practitioner and a Health Coach! *A little over a year ago, Jessica started the Holistic Entrepreneur Association. *Jessica has a background in audio production. *What pushed Jessica over the edge, where she decided she had to quit her job and become a Health Coach? *When Jessica started her business, she was completely overwhelmed. There were days where she just wanted to quit. *After years of business training and paid speaking engagements, Jessica realized that, honestly, every single practitioner needs to know these business principles — not just entrepreneurs. *Even if you come from a business background, entrepreneurship is its own animal. *If you’re talking to everybody, you’re talking to nobody. *Where’s my ideal client hanging out? That’s where I need to be. *Now that Jessica is 4-5 years wiser, how has the creation of the Holistic Entrepreneur Association been different compared to her other business? *The magic is in the follow up!! *Email marketing is a huge piece to your success. Be sure to leverage this as much as possible! *I completely agree with Jessica. I should have built my email list much earlier than I did. *What kind of challenges did Jessica face? *There’s no secret sauce to success. It’s just an accumulation of small tasks built over time. *Have patience and keep going, even if it’s three months in. Don’t give up! *It’s easy to feel like you want to give up, when you’ve been working day after day on your business, and seeing no results. *You will only fail if you quit. *Another mistake people tend to make is that they end up pivoting early. They don’t spend enough time on their marketing strategy. *Instead of comparing yourself to others and getting discouraged, focus on the next step. *Again, one small baby step leads to huge leaps over time, even when you don’t feel like it does. *Step back and acknowledge your wins. *There’s nothing wrong with marketing yourself. *Everyone has gotten into this field to help others, but there’s this whole lack of awareness on how to be a business owner in our industry. *Without a strong business foundation, your business will crumble. *What is Jessica’s vision for the Holistic Entrepreneur Association? I want to share some thoughts on enterprenuer overwhelm, because it’s a real thing! I feel like every business owner has gone through it, especially at the beginning of their business. Some days, there are just too many hats to wear! So, first and foremost, it’s normal! You are not alone. To prevent overwhelm, it’s important to be clear on what you want and why you want it. Set clear goals and just chip at them one step at a time! Let’s talk about the importance of mentorship. I know my listeners have heard me talk about this repeatedly with my guests, but sometimes you have to drive the point home! So, if you’re currently struggling to see results, then this Maven Mini is for you! Invest in Yourself, Get a Mentor! In my interview with Jeffrey Grossman, he said he has spent over $100,000 on mentorship. What?! In fact, he paid $15,000 on his first mentor. He took the business risk because he knew he needed to do something different. He knew he was spinning his wheels and getting nowhere. And you know what? It was worth every penny. When I first started my business, I didn’t immediately think I needed a mentor, but this thinking was wrong. Thinking back, I would have probably saved myself around $30,000 in my first year if I had only gotten a mentor! I was able to hire my first coach through Score.org, which I talk about in my book. It was so huge having someone who could see ten steps ahead, and save me from true disasters. So, if you’re first starting out and don’t have the $$$, you can always reach out to an organization like Score.org to help you get your feet off the ground. They are there to help support small business owners, and teach them to be successful. How do you go about finding a mentor yourself aside from websites like that? You can always ask for referrals within your network. If you still can’t find anyone, do a little bit of research online, and find people who are in a similar niche as you, and reach out to them. A good mentor needs to be a good fit for you. This means you have to have good energy with your coaches. It’s a very intimate relationship, as the two of you overcome challenges and obstacles, so make sure you guys vibe very well together! This is why you should interview different types of coaches to get a better feel for who they are and how you connect with them. You can’t be a healer without a sustainable business model! Jeffrey Grossman graduated with a B.S. in communication and advertising, but after working for both small and large advertising agencies for 15 years, he stumbled upon an epiphany. Jeffrey was tired of working for somebody else. He wanted to be a master of his own domain and set his own work hours. So, what did he do? He quit and studied acupuncture, and later opened his own practice. However, that was only the beginning of the journey. Find out more about Jeffrey’s struggles and successes on this week’s episode. *If you told Jeffrey he’d be living in Hawaii 6 years ago, he’d wouldn’t have believed you. *So, who is Jeffrey? Jeffrey works as an acupuncturist, but no longer has his brick and mortar practice. *How did Jeffrey get into acupuncture if he has a background in advertising and marketing? *What has contributed to Jeffrey’s success over the years? *Jeffrey spent $15,000 on his first mentor/coach. He has since spent over $100,000 on mentors, and it has been worth every penny. *Before getting a coach, Jeffrey was spinning his wheels and getting NOWHERE! *As health and wellness practitioners, we’ve seen the amazing benefits of our work, so why should we keep that message to ourselves? *You can’t do what you’re the best at, if you don’t have clients coming in! This is why a business and risk-taking mindset has to come first! *By the way, not everybody is cut out to own a clinic. That lifestyle or business model may not be for you, and that’s absolutely okay! *When we work with other people, we’re not alone, and our struggles become easier to manage. *If you want success in your business, you have to set both long-term and short-term goals! *Remember, success doesn’t happen overnight! *Jeffrey will be hosting an online event this October 31st. Find out more about the AOM Summit 2016 towards the end of the interview! 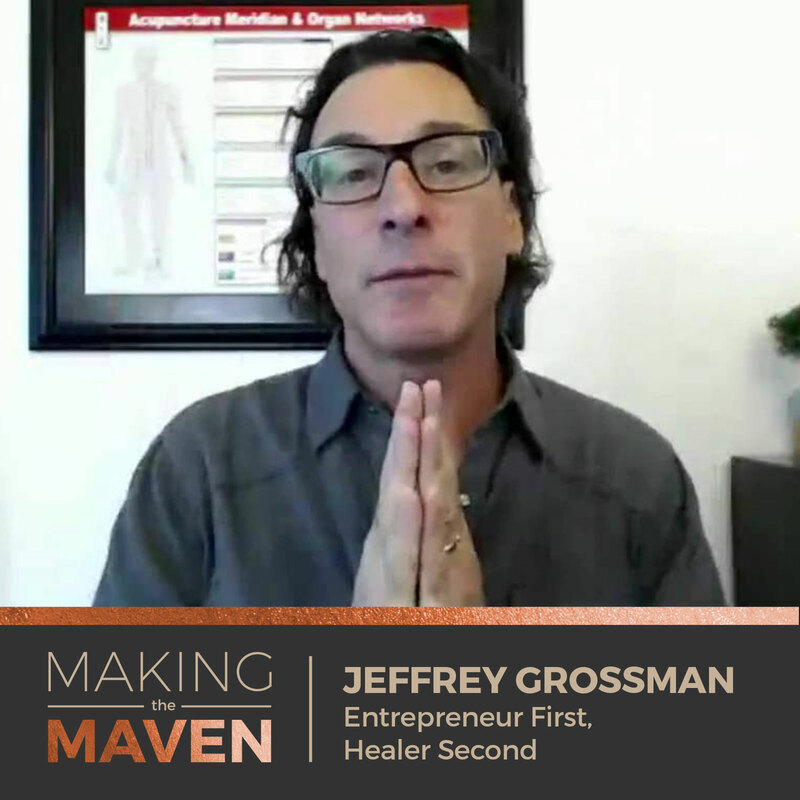 Jeffrey’s interview was great, especially about working with other wellness practitioners to help share a bit of the burden of what you’re going through. It made me think back to when I was first starting my own business. If I had an extra $400, where would I have spent it? Looking back and knowing what I know now, I would invest a chunk of my money on professional photos. Why? Because they go such a long way to presenting a respective and trustworthy image of yourself for future clients. I have some juicy information for you today! It came to me on one of my client calls and I have to share it with you. You are likely suffering from the same problem my client is, so let me quickly paint a picture of some of the symptoms. Symptom one: You may be spending time writing a blog, you’re doing the actions, but the words that you’re writing down aren’t making sense. 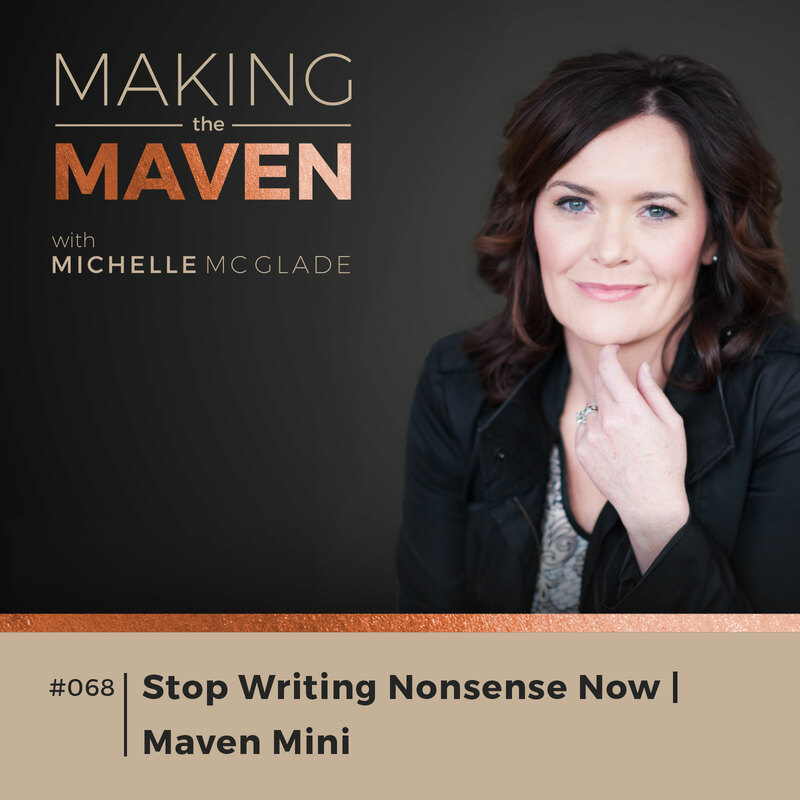 You don’t know what you’re really writing about, who you’re writing for, or even why the heck you’re doing it at all! Symptom two: You are spending too much time online. Maybe you’re hosting your own Facebook group, perhaps you actively participate in other people’s Facebook groups, but you don’t quite know what you’re really doing when you’re on these groups. You feel a little schizophrenic because one day you’re writing about one thing and then the next day it’s a completely different topic in that same group. It eventually all collides and you find yourself writing a bunch of nonsense. Symptom three: You’re spending time locally in your community, but every time you show up it feels very inauthentic. You aren’t really sure who to talk to in your community, or even why you want to talk to them. Again, it’s feeling like a bunch of nonsense. If you feel like you’re going a little crazy, that’s because you simply don’t know what you want! Get clear, so you can stop feeling like you’re writing about nothing. It’s your business, which means it’s your rules too. 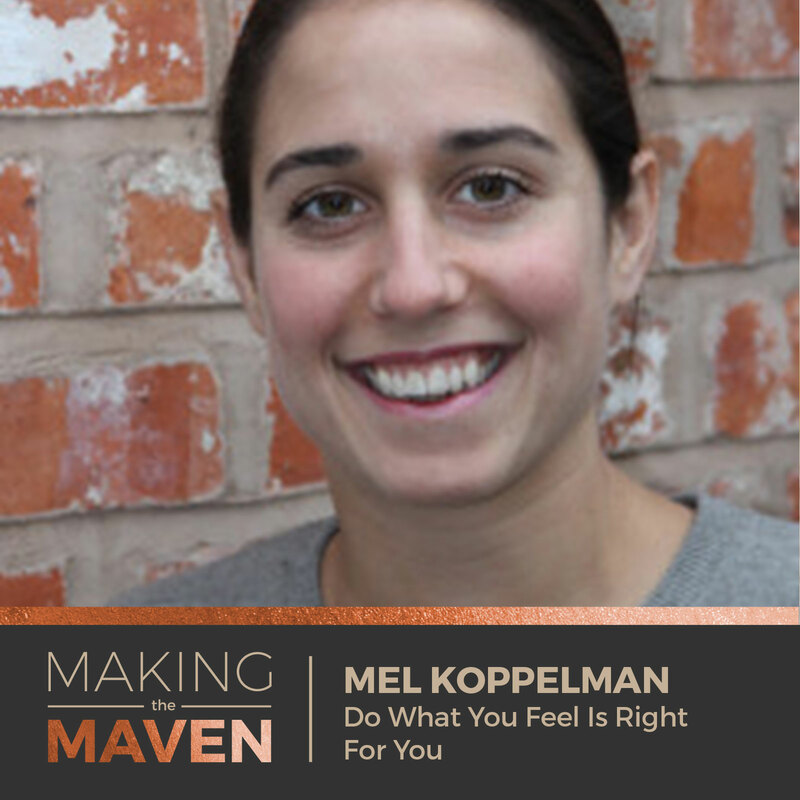 Mel Koppelman is a registered Acupuncturist and practitioner of Integrative Medicine. Mel founded her own clinic in 2011, but she recently left her brick and mortar business, which was located in the UK, to start a new adventure in Rhode Island, United States. Mel discusses some of the big roadblocks she had when she first started her own business and some of the key lessons she’s learned from it on this week’s episode. *I took a little break from the business last week, and I really missed the community! *Mel is a trained acupuncturist who recently moved from the UK to the U.S.
*Mel says that leaving her practice of five years back home was very tricky for her. All the hard work was just paying off! *How does Mel plan to set up her practice in the U.S.? *What kind of things helped towards Mel’s success in the UK? *You always want to leverage your strengths in your business, but with that being said, it’s also good to be hyper aware of what your weakness are. *Mel believes it’s important to not take things too seriously. It can quickly dry up the passion you have for you business if you do. *When you’re comfortable in your own business, customers will naturally feel more attracted to you. *There is no cookie-cutter mold for your business, so do what’s right for you. *Also, there is no such thing as work/life balance and that’s a good thing. Your business should be personal! *What is one of Mel’s superpowers? *What was one big challenge Mel had when she was growing her acupuncture practice? *Mel really resisted the idea of ’find your niche,’ at first. *Mel is also the Vice President of the Acupuncture Now Foundation and dives a bit further into what the organization does. So, I took time off and went to Mexico for 6 days! Yes! The biggest takeaway from the trip can be summed up in one word: Patience. Mexican culture definitely operates at its own pace and no one is in a rush. If breakfast takes two hours, then breakfast takes two hours. What I want everyone to know is that things don’t always happen on the timeline you’ve set, which is where patience comes in! I know, it’s hard to practice in reality, but it can become a powerful tool in your toolbox when you just remember to take a deep breathe and be patient.